For many parents and carers, the school run is the most stressful time of day. Getting Caitlin and Ieuan out of the door is generally a process equally as lengthy, complex and downright irritating as the negotiations for Brexit. Caitlin wafts around the house singing and dancing whilst Ieuan is usually engrossed in building his Roblox empire. I am left nagging, shouting and bemoaning the fact that neither a flannel nor a hairbrush seems to have made their appearance. What we generally try to avoid is taking the car. 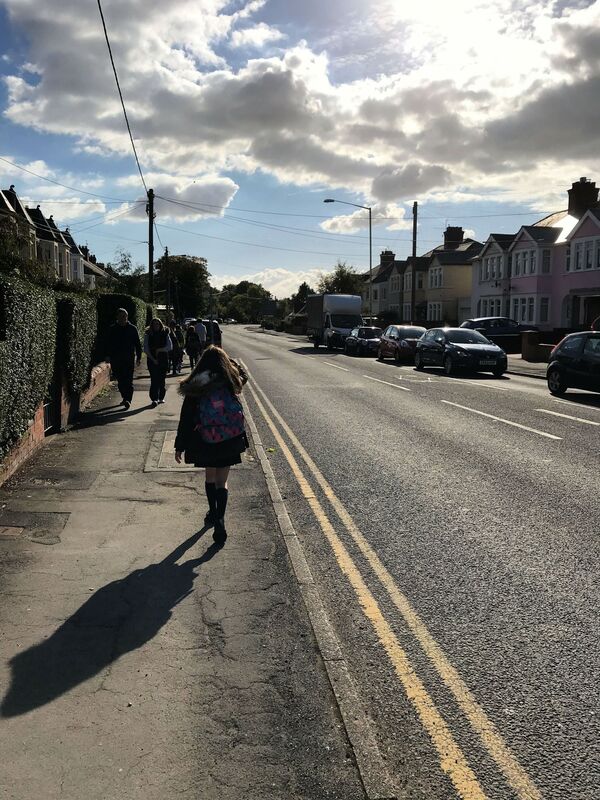 The kids’ school is a brief 10-15 minute walk away and the route takes us along the busy main thoroughfare through Dinas Powys and over a hill towards a condensely built up area which is only likely to become more so with the burgeoning housing developments that are springing up. 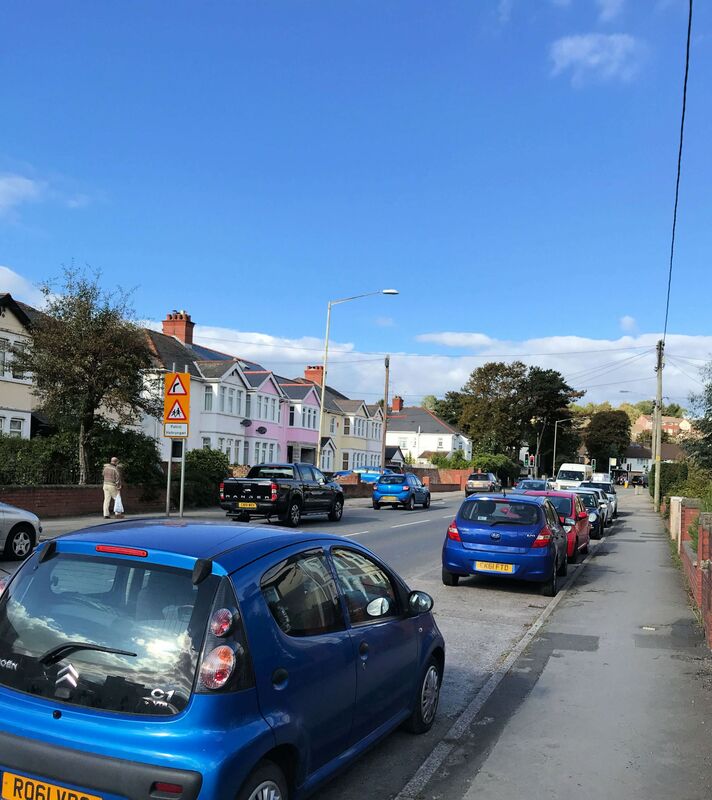 Getting a car close to the school gates is virtually impossible since there is no car park, just a few spaces next to a public library and another handful outside the Methodist church close by. Unless you have lots of experience driving and reversing articulated lorries, trust me it’s not something you really want to attempt. Just the thought of the total log-jam that generally ensues is enough to give me hives. I find the older (and more hormonal!) I get, the more anxious driving makes me. Besides, walking is good for the kids, if that is, you ignore the increasing pollution and since our family cars are both diesel, we are now apparently contributing more to this problem than was previously thought. Caitlin is off to secondary school next year so both she and her brother will be walking home on their own more often. Luckily there are plenty of traffic lights with pedestrian crossings and Dave, our long-serving lollipop man who is loved by kids and parents alike. The car does, however, make a sneaky appearance when it’s raining and the husband is not about. I brace myself to run the gauntlet of family cars which seem to be getting bigger, wider and noisier and pray that I will find a parking space. There are, of course, the usual bumps, shunts and bad temper and, after being driven into sideways on a busy roundabout last year, I am always on full alert. The driver in this particular incident simply put her foot down and sped off leaving us wishing we had had the foresight to install a dashcam. That might have saved me the excess on my insurance which was £350. Happily, there is a way of installing a dashcam free of charge whilst having your driving skills monitored by downloading the Drive app from Aviva. Prove you are a good driver and there’s a discount off your car insurance policy too. The integrated dash cam is a definite bonus for school-run driving. It’s a good 30 years since I took my driving test and I’m sure my driving is no longer, how shall I put it, driving school perfect. Can you remember your Highway Code? Given the number of drivers who have no clue which lane they should be in most of the time and that their car comes with indicators fitted as standard, I’m not the only one who could do with a refresher. The Aviva Drive App is going to be a great help, too, once the clocks go back at the end of October. Darker mornings and afternoons definitely don’t help driving conditions, nor does the approaching winter weather. Still, whilst the weather is relatively pleasant, I am making the most of our brisk twice-daily walks because it gives me a chance to chat with the kids and discuss the most random of subjects. Is the Queen directly related to Henry VIII? What causes different cloud formations? How much would it cost to build a bungalow for the grandparents? What are the best sources of Vitamin B? 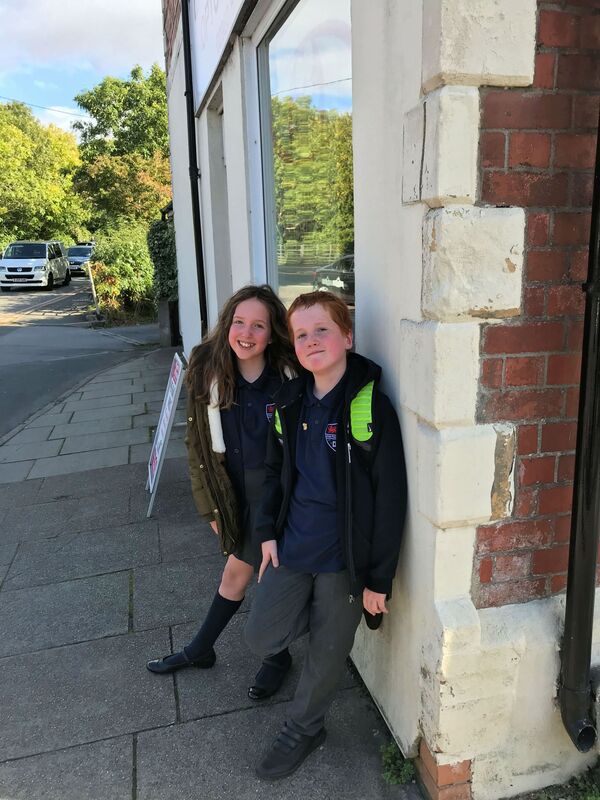 Caitlin and Ieuan are both looking forward to driving and have already twigged that by the time they get to the 6th form of secondary school, they will be able to take their driving tests. Whether the ‘Bank of Mum & Dad’ will be providing cars is yet to be seen. In the meantime, at least I’ve found a way of improving my driving and being better prepared for any more bumps. "Free And Bargain Books Linky – 03/10/2018"
"A Quick Guide To Cleaning Your Upholstered Dining Chairs"
I walked both of my kids to school. Not only was it a healthier option, exercise wise, it was also a good time to chat with the girls and cut out the hassle of trying to find a parking space. I used to get so cross with other parents who would literally drive up the road rather than walk. we do a mixture of driving and walking – depending on the weather. A day cam is such a good idea though as there can be some crazy driving at that time of day! I’ve been thinking about getting a dashboard camera. I drive on the motorway daily and so many people cut up the flow or traffic and switch lanes without even looking. It is hair-raising at times! The school run can be a really scary experience with the way some people drive in the mornings! It’s absolutely daft that they drive that way with children around. I’m so sorry that a lady drove into you and then just drove off! That’s absolutely awful. I absolutely hate the school run. I don’t drive and it always shocks me how many people think it’s OK to drive half on the road and half on the pavement. Especially when there are young children about! One thing I am dreading in the future is the school run! Hopefully I will drive before I have any children though! Just a while ago I was looking at schools in my area and was thinking about the places to apply for my son as he will start reception next year.